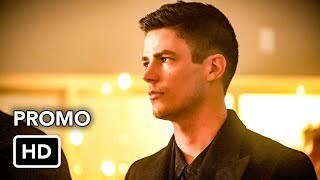 The Flash 5×13 “Goldfaced” Season 5 Episode 13 Sneak Peek – BARRY AND IRIS EACH TAKE DANGEROUS STEPS TO STOP CICADA — Barry (Grant Gustin) and Ralph (Hartley Sawyer) must go undercover as criminals in an illegal black market to purchase a device that could help them stop Cicada (Chris Klein). 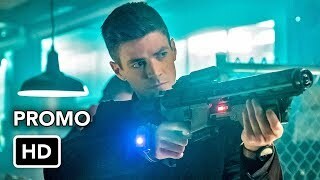 Once inside, Barry and Ralph find their morality tested as they slip deeper into the criminal world, eventually having to choose between committing a crime, or losing the means to defeat one of their greatest foes. 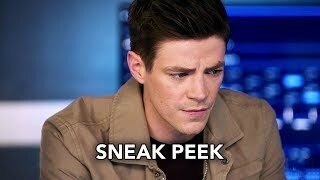 Meanwhile, Iris (Candice Patton) investigates a lead on Cicada’s whereabouts and ends up in a dangerous situation. Alexandra LaRoche directed the episode written by Jonathan Butler & Gabriel Garza (#513). 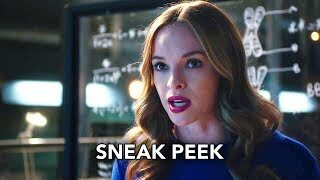 Original airdate 2/5/2019.